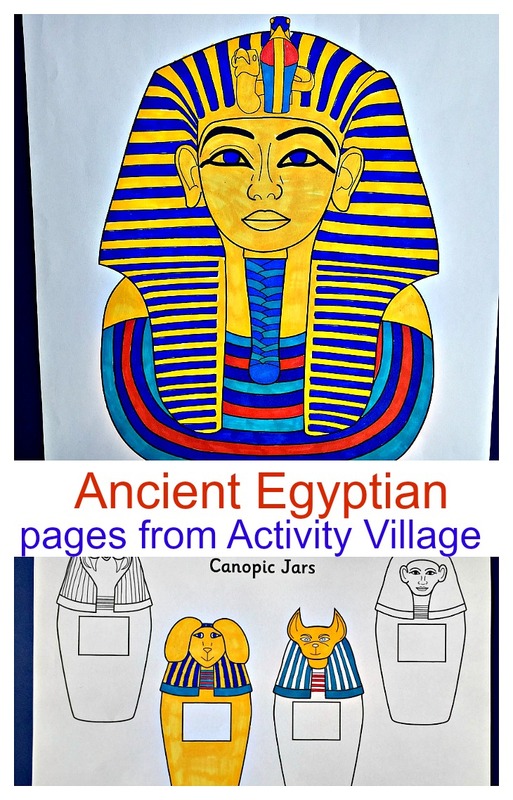 Along with our Egyptian workshop and outings to see Egyptian artifacts we have also been reading some Egyptian books and doing a few Egyptian pages from Activity Village. One of my daughter’s favourite Egyptian themed book has been the BIG CAT Discovering Tutankhamun’s Tomb. My daughter found reading this book to herself more manageable than some of the other Egyptian books that we took out of our local library. It is part of the BIG CAT reading series and is on their Emerald band so aimed at more Upper Key stage 2 ages. There are some challenging words in it and the glossary at the book does come in handy but it just seems to flow more easily than some of the other books. It starts off by introducing the Ancient Egyptians and explaining a bit about mummification, the tombs and the Valley of the Kings. 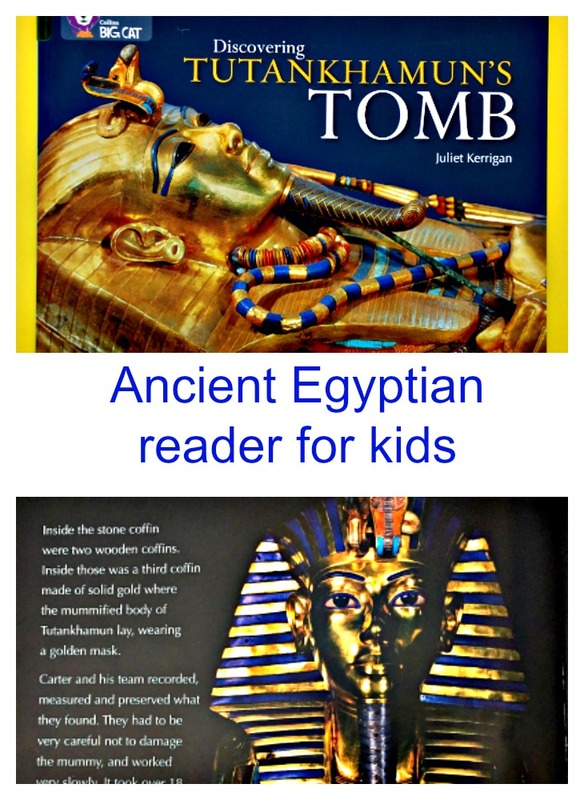 Then it goes onto who Tutankhamun was and how the tomb was discovered. It explains the layout of the tomb and goes into a fair bit of detail about what was discovered inside the tomb and what the discoveries tell us about Ancient Egyptian life (it talks about how the clothing they wore, games they played, food they ate). So although it comes from the angle of what was in his tomb it ends up explaining a fair bit about the Ancient Egyptians. I liked this book as it was informative and it was one of the few Egyptian books that my daughter was happy to read to herself (and to her younger brother). Also the pictures included in the book are a very high quality which enabled my daughter to use them for some drawing activities. With all the Egyptian reading that we have been doing I thought it would be good to make sure the kids understood where everything in Egypt was located. We downloaded this great black and white map of Ancient Egypt from Activity Village (the colouring in was added by one of my kids). And we also found some great Egyptian colouring pages / templates for the kids to use. The Design a Death Mask. is a great template which allows the kids to add their own details. And of course we did not just stick to realistic versions of the Ancient Egyptians, the kids did also get a bit creative and add some extra colour just for fun. The Discovering Tutankhamun’s Tomb was included in a lovely set of books that Harper Collins sent us. Activity Village do operate on a subscription basis – I think it is currently around £15 for 12 months. 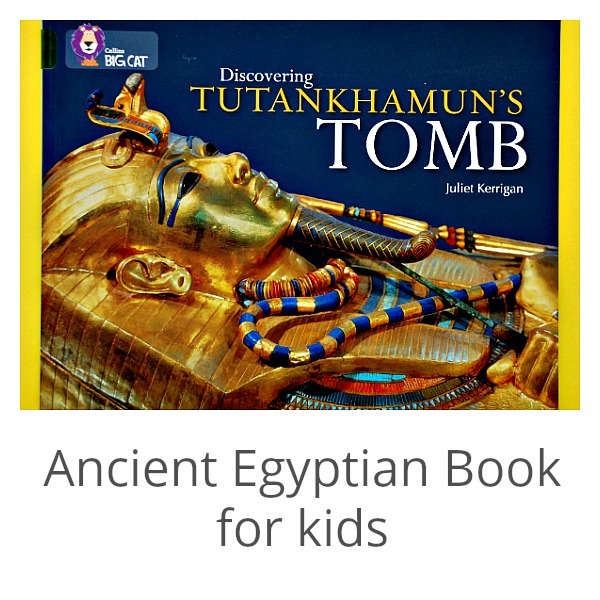 This entry was posted in History and tagged activity village, Ancient Egyptians, Big Cat readers, home ed, home education, homeschooling, Tutankhamun. Bookmark the permalink.